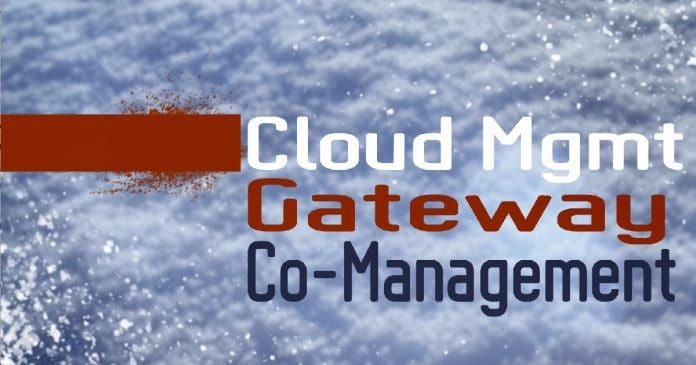 The Cloud Management Gateway (CMG) provides a simple way to manage SCCM clients on the internet. The CMG is a PaaS (Platform As A Service) solution in Azure. So, we don’t need to maintain the servers in Azure platform, unlike Azure IaaS (Infrastructure As A Service) solution. We need to setup and configure Azure Cloud Services within SCCM before implementing Co-Management CMG. 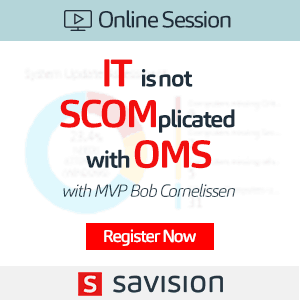 Co-Management CMG is not a prerequisite for all the SCCM Co-Management scenarios. 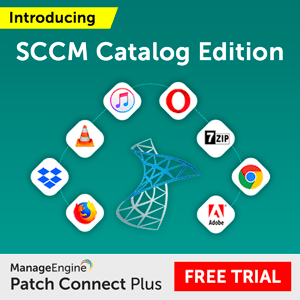 However, CMG is required for the scenario where you want to install SCCM client from the internet. SCCM Cloud Management Gateway (CMG) & CDP are required for the situation mentioned above. I would recommend reading CMG Prerequisite and Certificate requirements before implementing Co-Management CMG setup. I would recommend going through and configure Azure services cloud management before proceeding with CMG configuration. Use the Azure Services Wizard to simplify the process of setting up the Azure cloud services you use with SCCM. I have also explained this in the video tutorial. Azure Services configuration wizard provides a standard configuration experience by using Azure Active Directory (Azure AD) web app registrations. This wizard creates Web and Client (native) applications to subscription & configuration details, & authenticate communications with Azure AD. This wizard helps you deploy and configure Azure services through SCCM. I have explained the same in the Video Tutorial as well. Navigate via \Administration\Overview\Cloud Services\Azure Services – Click on Configure Azure Services button from the ribbon menu. for Azure AD resources for this tenant. 4. Create a new WEB APP in Azure for Authentication (Server App for SCCM). 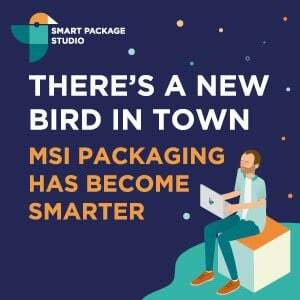 Add an application that represents a web application, a web API, or both. Server App – Select a from the list of available server apps to configure Azure services. You can also import or create a server app. In this scenario, I opted to create new Server Application. Azure AD Admin Account: Sign in - Signed in successfully! 5. Create NATIVE Client APP. A native client is an application that can be installed on a user’s device or computer. 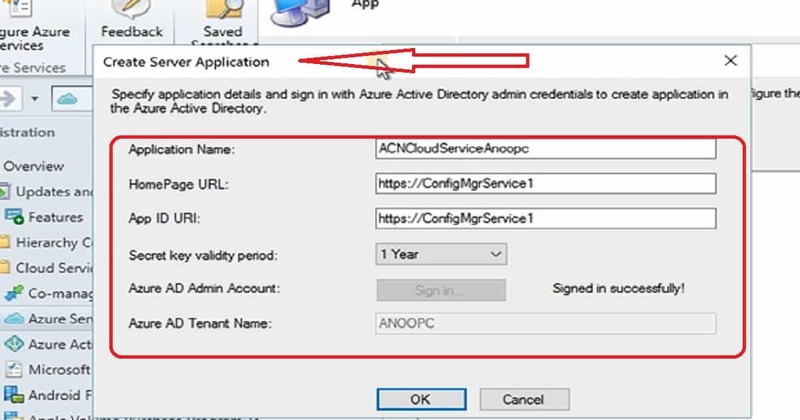 To Create Client Application Specify application details and sign in with AAD admin credentials to create an application in the Azure Active Directory. 6. Enable Azure AD Discovery on Configure Discovery Settings page. Click on settings button to check and configure advanced options of AAD Discovery. Azure AD User Discovery – Configure the settings to discover resources in the Azure AD. When resources are discovered, SCCM creates records in the SCCM DB for the resources and their associated information. 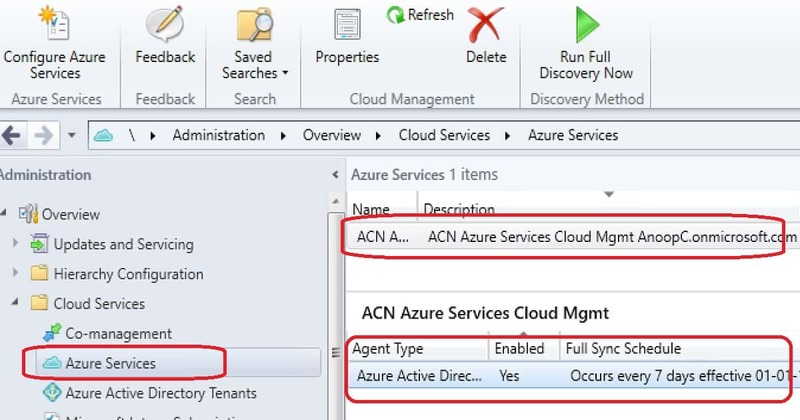 We need to enable Azure AD discovery to enable AAD authentication scenario in SCCM. 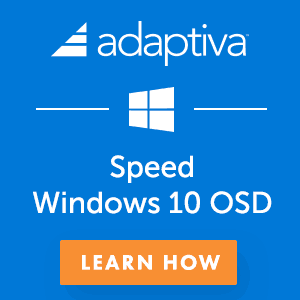 If you want SCCM to authenticate the AAD user, you need have the user discovered first. You need to provide/grand appropriate permissions for WEB (Server) application on Azure as I showed in the video tutorial. Before the start of Co-management CMG setup, make sure that all the prerequisites and certs are readily available with you. I have also explained this in video tutorial. Azure AD administrator credentials to proceed. Note:- Please sign in as administrator account to access your Azure subscription. that are required for deploying the service. Service Name: ACMCMG01 Automatically get populated based on the CName mentioned in the certificate. You won’t be able to change it. To change the service name, you need to create a new WEB certificate as explained in the previous blog. Select the CMG PFX file created for CMG in the previous post about creating certs. We need to specify a server PKI certificate for this cloud service. Certificate File: Select the PFX file created for CMG in the previous post. Enter the password for PFX certificate. Service Name, Service FQDN will automatically get populated once you have uploaded the PFX cert successfully. Service FQDN: ACMCMG01.Cloudapp.net This details will get populated automatically as I mentioned above. 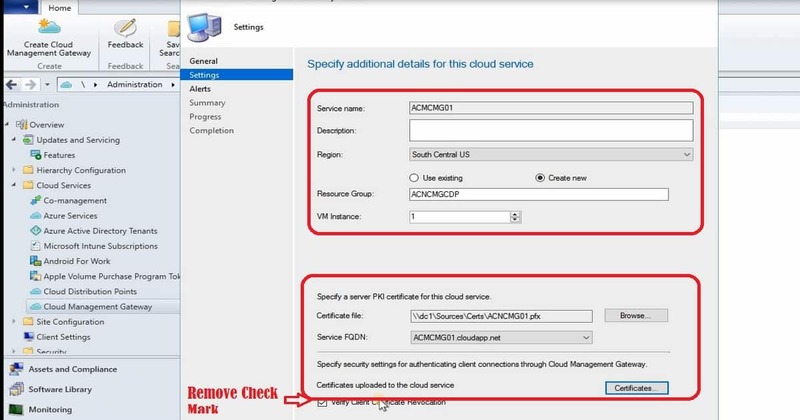 Specify security settings for authenticating client connections through CMG (Cloud Management Gateway). Certificates uploaded to the cloud services: Click on Certificates button to upload Root CA and Intermediate/Issuing CA certs. I have only root CA in the chain of certs. Click on Add to upload certificates to the cloud service. Remove “Verify Client Certificate Revocation” check box when you have not published CRL to internet. I would recommend to publish CRL to internet to have more secure PKI. However I don’t use this for my lab environment. The CMG connection point is the SCCM site system role for communicating with the CMG and on-prem components like MP/SUP. I have also explained this in video tutorial. 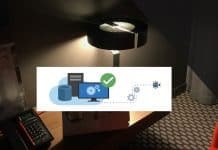 Specify the Cloud Management Gateway Connection Point settings. When you have more than one CMG in your SCCM environment, you can select relevant one from the drop down option. For me, it’s only one CMG. 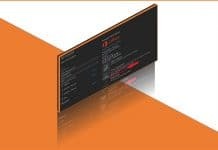 Install client authentication purpose certificate manually for CMG connection point to communicate with client facing site roles in HTTPS mode. There will be 2 (two) services associated with Resource Group which we create from SCCM console. More details available in the video tutorial. Click on PaaS server ACMCMG01 to check the details and you can also login to the server and check (there is no need to login and check in normal scenarios). Records details about deploying the cloud management gateway service, ongoing service status, and use data associated with the service. The installdir folder on the primary site server or CAS. You can configure the logging level using the setting Trace level (Information (Default), Verbose, Error) on the Azure portal\Cloud services configuration tab. Records details about setting up connections between the cloud management gateway service and the cloud management gateway connection point. 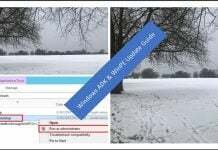 Is it possible to join a w10 to only AAD (with automatic Intune enrollment) and install the configmgr client on it via the install string thats displayed during co-mgmt configuration? Of we try this the configmgr client never initialize. On technet rendement is hybrid aad joined so i presume it will not work for pure aad joined/Intune devices, correct? Our computers are all connected to on prem AD.